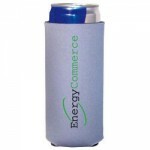 Made from open cell foam with a solid color outer cover. 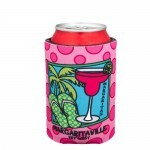 Holds 12 oz cans. Can be printed on both sides and the bottom in one color. Made of closed cell neoprene wetsuit material for extra insulation, better stretch, and long lasting performance. 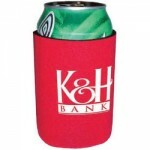 Comes in a variety of colors with print available on both sides and bottom. Standard print is one color and full color is available. 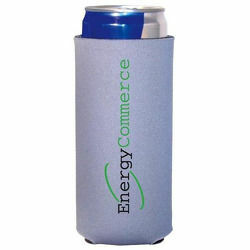 Made from open cell foam with a solid color outer cover. 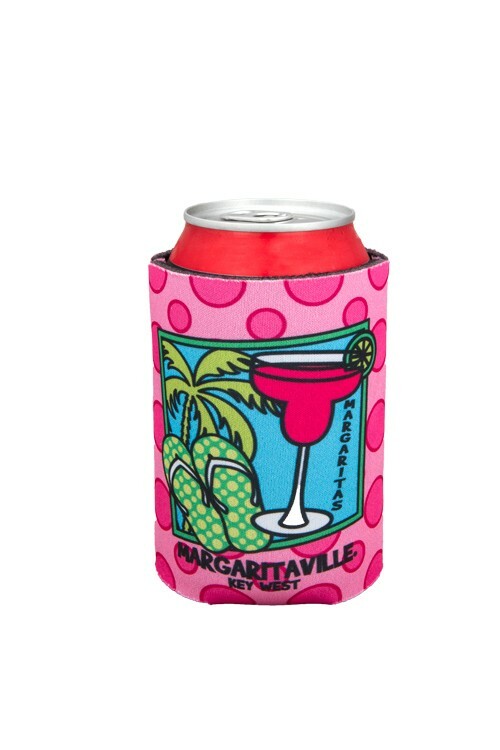 Holds 12 oz bottles. 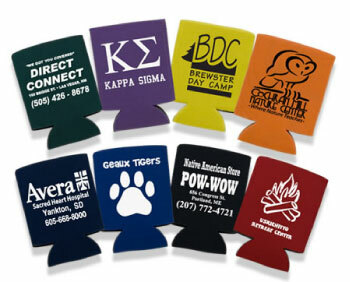 Can be printed on one side in one color or full color. 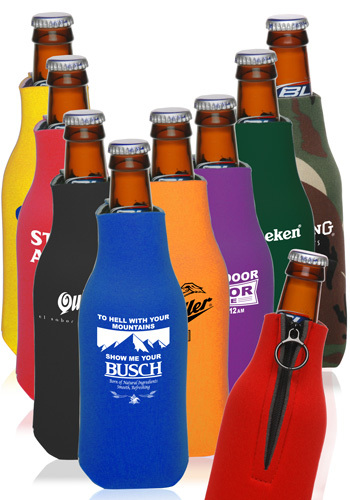 The dye sublimation process allows us to put virtually anything that an inkjet printer will print onto the fabric of the product with near photo quality. 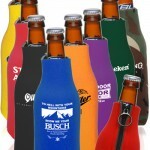 This cooler has been specially designed to fit the 16 – 22oz solo style plastic cups. 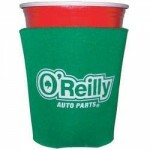 Made of open cell foam and available in a variety of colors. 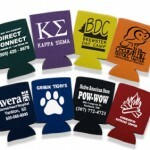 Available in one color or full color print on one or both sides and the bottom.